It seems that the world is divided into two types of people – the hoarders and the non-hoarders. During our practice refurbishment earlier in the year it became startlingly clear who the hoarders were and who the discarders (for want of a better word) were in the Perspective team. Over the past nine years we’ve built quite a collection of posters, show cards, point of sale and display material and not to mention enough used packaging material and boxes to keep Santa’s elves happy! Fazila and myself were happy to declutter and discard but I could often see a shadow of doubt and disappointment on Eliza’s face when we condemned items to the rubbish or recycle pile and every now and then she would put her foot down and insist we kept certain items. This month, to indulge the hoarder in us all we’re collecting any old, unusable glasses that you may have stashed away over the years. It’s always good to have an emergency pair but if you have several old pairs lying around that you can’t see well with, then we can help you declutter and take them off your hands. They’ll be packaged and sent to Vision Aid Overseas where they’ll either be reused or recycled and the money raised from this will help someone somewhere get a pair of glasses they desperately need. As a little thank you, we’ll give you a £45 voucher towards a new pair of glasses or sunglasses when you want to have a new pair this year. The 2018 theme for World Sight Day is ‘Leave no-one behind’. Eye care should be accessible everywhere, so we’ll donate £5 from every eye examination carried out in September to Vision Aid Overseas in support of World Sight Day so that someone can benefit from a sight saving eye examination. 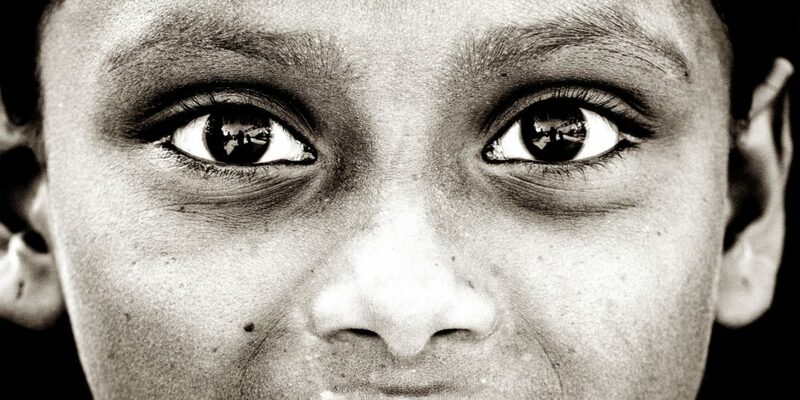 Below is a real-life story of how Vision Aid Overseas can help. A primary school student receives his first pair of reading glasses. Meet Adams, an 11-year-old student living in Zambia. Despite his potential, Adams was struggling at school simply because he couldn’t see the blackboard well enough to learn. Adams paid a visit to the Vision Centre in Livingstone where he received a full eye test and was prescribed a smart new pair of glasses that restored his vision. Adam’s new glasses have transformed his life dramatically. Adam is now back at school, improving his grades and his parents are very proud of him. He wants to be a policeman when he’s older so that he can support his family and keep his community safe. With his new pair of glasses, he can receive the education he needs to make this happen. When eye care is made accessible, children are more likely to reach their potential in school, achieve a better education, and ultimately start a career when they leave school. Please share this with your family, friends and colleagues. Please donate your old, unwanted glasses and receive a £45 voucher towards a new pair. Book an eye examination at Perspective this September so that we can donate £5 to World Sight Day to help eradicate avoidable blindness and vision impairment. Call us on 020 75865508 or email us at info@i-perspective.co.uk to book an appointment.